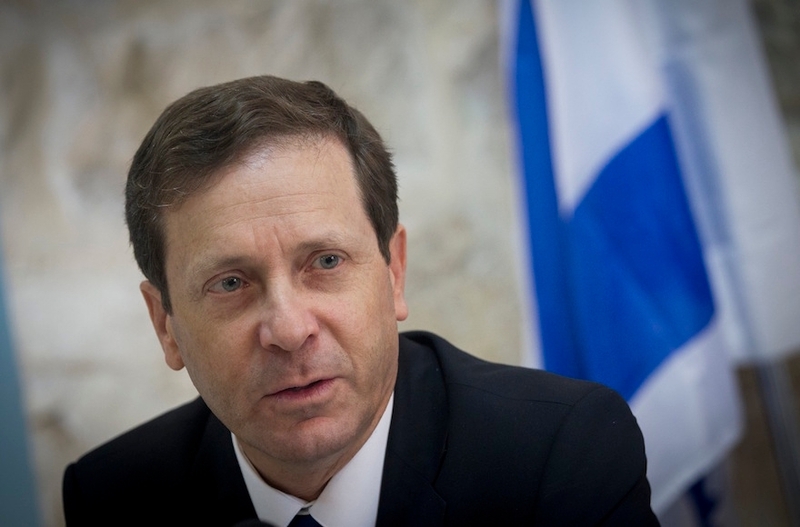 JERUSALEM (JTA) — Israeli opposition leader Isaac Herzog defended his statement that his Zionist Union party must stop giving off the impression of being “Arab lovers” in order to attract more votes. On Wednesday, the day after he made the remark to party activists in Ashkelon, Herzog posted on Twitter: “I’ve heard there are some who are not satisfied with my Zionist approach. If they want the chairman of the Zionist Union to give preference to Palestinian interests, I have a message for them: They should recalculate their route,” an expression from the GPS service Waze. Herzog had been discussing the need for the party to change in response to changes in Israeli society. He was slammed by members of his own party and other lawmakers. Yachimovich later tweeted a photo of the section of Israel’s Declaration of Independence dealing with equal rights for all citizens, regardless of religion, race or gender. Knesset lawmaker Ayman Odeh, the head of the Arab Joint List, called on Herzog to resign as head of the opposition. Naftali Bennett, who heads the Jewish Home party, which belongs to the Netanyahu government, also tweeted an angry response. ערביי ישראל מהווים כ20% מהאוכלוסיה. הם אינם נוהרים ואיננו שונאים אותם. הם אזרחים שווי זכויות, ואני שר החינוך שלהם. ודי נמאס לחזור על זה.